SPENCER, JAMES, Methodist minister and journalist; b. 7 Feb. 1812 in Stamford Township, Upper Canada; m. in 1843 Sarah Lafferty of West Flamborough Township, and they had nine children; d. 9 Oct. 1863 at Paris, Canada West. The opportunity to change his vocation came in 1842 when Spencer was given leave to become a tutor in the new Victoria College at Cobourg. Unfortunately, his aspirations and his personality defeated his purpose. He was asked to teach English; he wished to teach science. Principal Egerton Ryerson* gave him leave to attend Wesleyan University in Middletown, Conn., to study natural science, and on his return offered him a probationary appointment; Spencer’s angry refusal terminated his academic career. This episode was probably one source of the hostility which characterized his later relations with Ryerson. Spencer returned to regular circuit duties. Between 1843 and 1851 he was stationed on the Dundas, Toronto, Nelson, and Guelph circuits, and he wrote letters to the Methodist newspaper in Toronto, the Christian Guardian, attacking the pretensions of the Church of England and the doctrine of apostolic succession. This polemic secured him a measure of notoriety among his brethren, which led to his being nominated as editor of the Guardian. Unsuccessful in 1849 and 1850, he was finally elected in 1851 to succeed the Reverend George R. Sanderson. Spencer was re-elected annually until 1860, when he was succeeded by the Reverend Wellington Jeffers*. Spencer’s relatively long term as Guardian editor indicated that his ministerial colleagues were impressed by his skill, and, more important, that he embodied much of the mood of the Methodist conference in the 1850s. He assumed a combative and rather self-righteous posture which came naturally to a man who was personally insecure but convinced of the rectitude of his version of the Methodist cause. His controversialism reflected as well the fact that the conference was beset by the need for institutional consolidation, by its unwillingness to recognize that the evangelical imperative had to be reinterpreted and that the role of the laity deserved greater recognition, and by its determination to avoid direct involvement in political controversy, unless Methodist interests were at stake. Within the Methodist community, Spencer was a conspicuous defender of ministerial authority and of traditional religious practices. Since Methodists believed that religious life had to be nurtured and developed by spiritual discipline, great importance was attached to class meetings, weekly gatherings in small groups in which members recounted their experiences and took counsel with one another. Membership and participation in a class was a prerequisite for membership in the Methodist Church. To Egerton Ryerson, however, enforcement of this rule discouraged those baptized in the church from growing into membership and forced ministers either to impose a condition not required by Scriptures or to connive at its neglect. 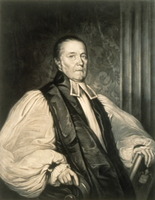 When his proposal to the 1854 conference that this requirement be dropped was rejected, Ryerson resigned from the conference, a move designed to emphasize his concern for the rights of the laity in the church. Spencer’s initial reaction was to suppress comment on the resignation in the Guardian. At the ensuing conference, Ryerson rejoined his colleagues. Spencer reported this event in a form Ryerson considered offensive and inaccurate. 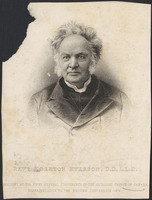 Spencer’s reply stressed that Ryerson’s version of events was incorrect and that the “Wesleyan Conference and the Church in Canada are not yet disposed to give up an essential good to remedy an imaginary evil, which if it exists, is the result of unfaithful practice and not from any radical defect in the system. . . .” The controversy was concluded in a bitter, sometimes personal, debate in the 1856 session. Enoch Wood* asserted that “this worthless matter [was] all brought about for electioneering purposes by the editor of the Guardian,” but the controversy did illustrate clearly the growing cleavage between those such as Spencer who upheld the authority of the conference and the existing pattern of discipline, and those such as Ryerson who believed that ministerial authority should be exercised tolerantly and that individuals should be encouraged to act responsibly. 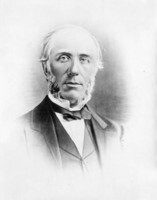 Spencer was not re-elected as editor in 1860, an event which drew from John A. Macdonald* the comment that he was “truly glad to learn that Spencer ha[d] been ousted from the Editorial Chair,” since Spencer had “played [George Brown*’s] game as much as he dared to do.” Spencer was appointed to the Brampton and subsequently to the Paris circuit. Significantly, his successor as editor, Jeffers, had been one of his supporters in the dispute with Ryerson. Spencer’s brethren also demonstrated their respect for him by appointing him their representative to the British Wesleyan conference in London in 1860 and in awarding him an honorary ma from Victoria College in 1863, but his career was cut short in that year by a severe attack of erysipelas. His funeral, attended by 30 ministers and a large congregation, was conducted by Anson Green*, president of the conference, and by Enoch Wood, superintendent of missions. As his published sermons and editorials indicate, Spencer’s religion was austere and rigid, yet deeply emotional. He was persuaded that Methodism as a system of belief and the Methodist Church as an institution were the very embodiment of evangelical Christianity. He was committed to the preservation of a society in which Christian doctrine would continue to be the ultimate foundation, but he was equally certain that this relationship could be maintained without the perpetuation of formal ties between the churches and the state. Rather it should be fostered by the preaching of conversion, by disciplined religious life, and by vigorous opposition to such social evils as intemperance and political corruption. As a man and a minister he was distinguished by “fearless integrity,” “independence of spirit,” and an “almost unmerciful” attitude “towards human iniquity.” He was “ungenial and unsocial” in public, and genial in private. His sermons were “entirely free from display” for he sought to avoid “a wicked trifling with the sacred and solemn questions at issue between man and his Maker.” In short he was a stern and impassioned but not a “shouting” Methodist. James Spencer was the author of Sermons by the Rev. James Spencer, M.A., of the Wesleyan Conference, Canada (Toronto, 1864). [J. S. Carroll], Past and present, or a description of persons and events connected with Canadian Methodism for the last forty years (Toronto, 1860). Christian Guardian, 1851–60. Anson Green, The life and times of the Rev. Anson Green, D.D. . . . (Toronto, 1877). Wesleyan Methodist Church in Can., Minutes (Toronto), 1864. Carroll, Case and his cotemporaries. The chronicle of a century, 1829–1929: the record of one hundred years of progress in the publishing concerns of the Methodist, Presbyterian and Congregational churches in Canada, ed. L. [A.] Pierce (Toronto, 1929). C. B. Sissons, A history of Victoria University (Toronto, 1952); Ryerson. G. S. French, “SPENCER, JAMES,” in Dictionary of Canadian Biography, vol. 9, University of Toronto/Université Laval, 2003–, accessed April 24, 2019, http://www.biographi.ca/en/bio/spencer_james_9E.html.